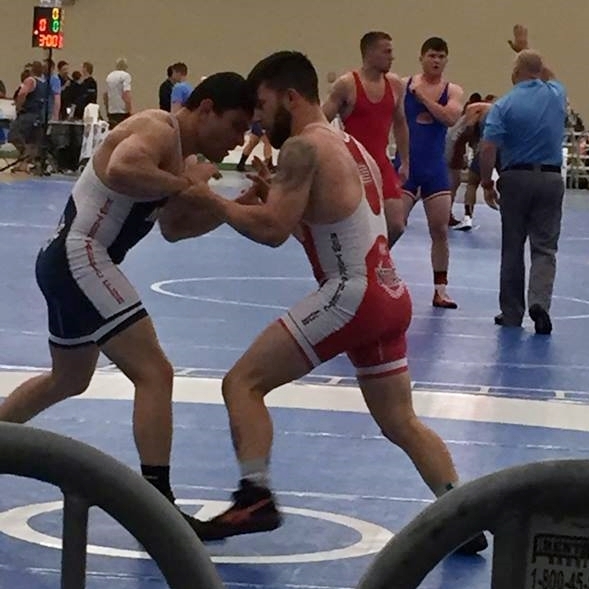 While a lot of Louisiana wrestlers were slugging it out with Floridians, Georgians, Texans, Missourians and Indianans, two others were competing against wrestlers from a lot of other states and one against competition from 14 other countries. 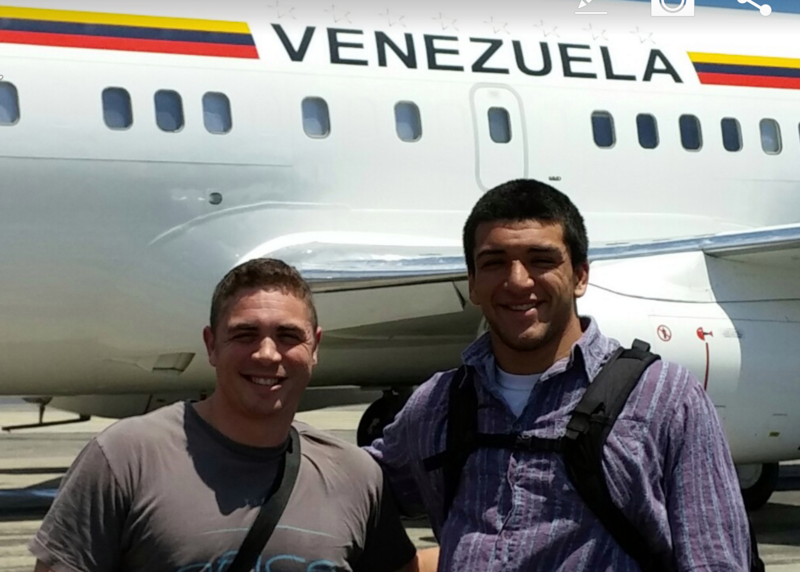 Rummel's Josh Ramirez and former Gator Wrestling Club member Sam Jones were in Akron, Ohio, competing in a United World Wrestling event. 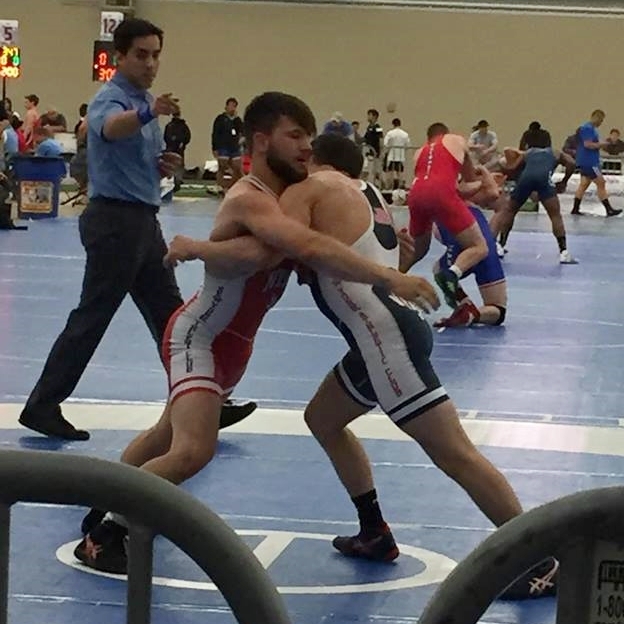 Ramirez placed 8th in the Cadet Freestyle Nationals and Jones was the runner-up in the University Greco-Roman Nationals. The event was held over June 2nd-5th at the University of Akron. 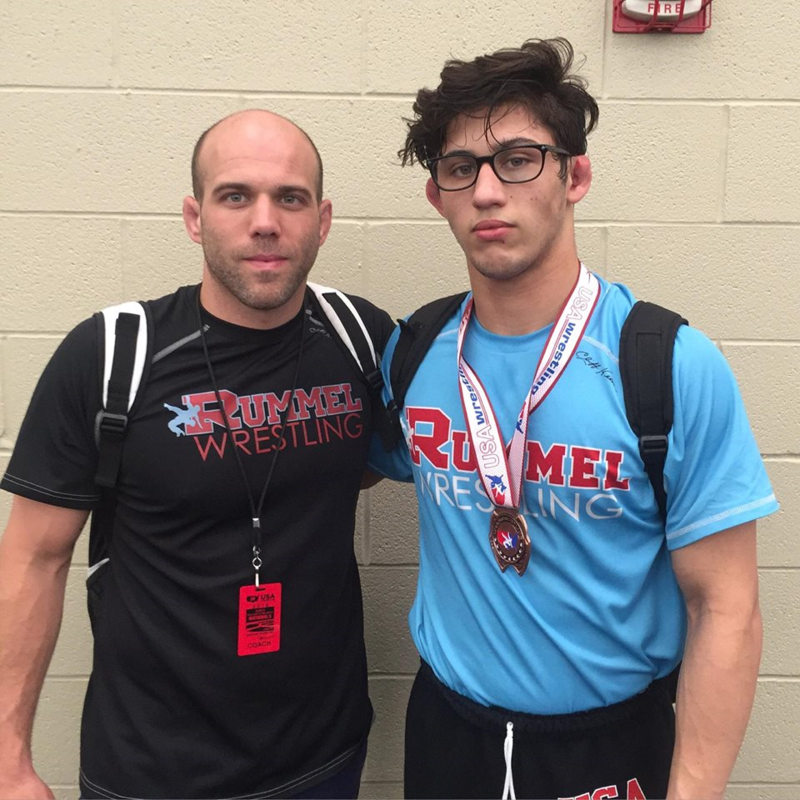 Rummel's 2016 state champion Josh Ramirez placed eighth out of 35 entrants to earn All-American honors at the UWW Cadet Freestyle Nationals. The 76 kg. weight class included some familiar faces from the USAW SE Regionals in Atlanta last April. Illinois' Jack Jensen, who placed second in the freestyle and won the Greco-Roman event (over Joey Foret of Holy Cross) in Atlanta, was in the bracket (Jensen placed second) as was Cameron Caffey, also of Illinois, who beat Jensen in the freestyle finals in Atlanta but who was knocked out of this competition via a quarterfinals injury. Ramirez went 4-3 in the event, and all but one of his losses were very close affairs. After a first-round bye Ramirez defeated teched Maryland's Austin Stith, and then fell just short, 5-4, against Jake Allar of Minnesota (Allar finished 4th). In the consolation rounds Ramirez scored consecutive 10-0 technical falls over Indiana's Diego Lemley and Iowa's Ben Sarasin. 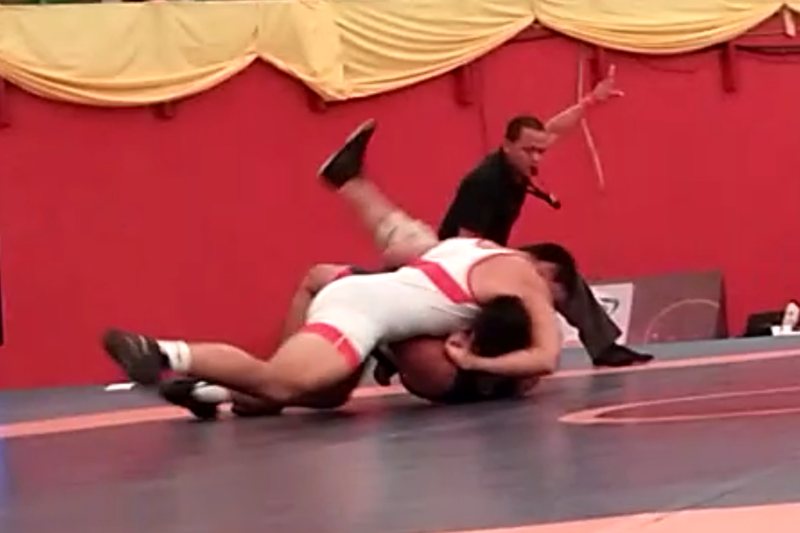 Ramirez just missed a third TF with an 11-2 win over Marcus Coleman of Iowa. In the consolation quarterfinals Ramirez wrestled Pennsylvania's Jake Hendricks to a 4-4 tie and lost the match via criteria. That placed him in the match for 7th-8th place, in which he fell to Daniel Butler of Kansas, 9-3. 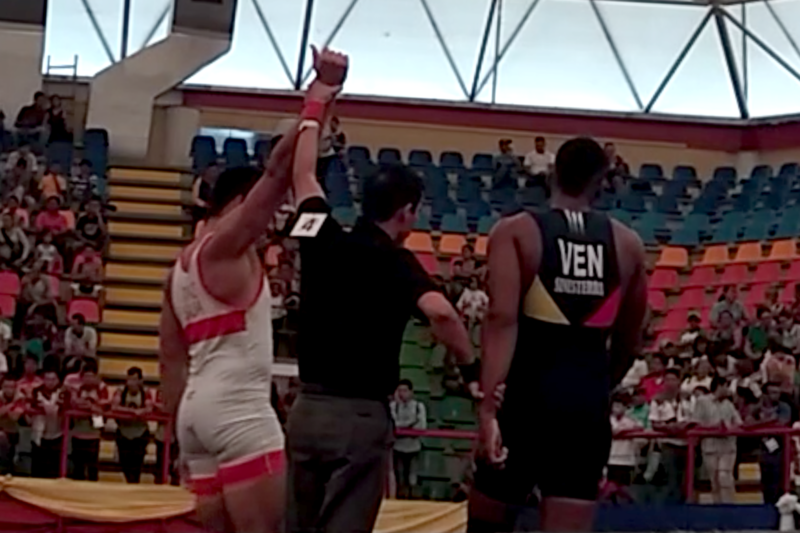 Jones was the top seed in the 63 kg. weight class in the University Greco-Roman Nationals which had 10 entrants. After a bye in the first round, Jones, representing the New York Athletic Club (NYAC) and Northern Michigan University (NMU), scored technical falls of 14-4 and 9-0 over opponents from America University and the U.S. Air Force Academy before falling to the NYAC's Dmitry Ryabchinskly 6-0 in the finals. 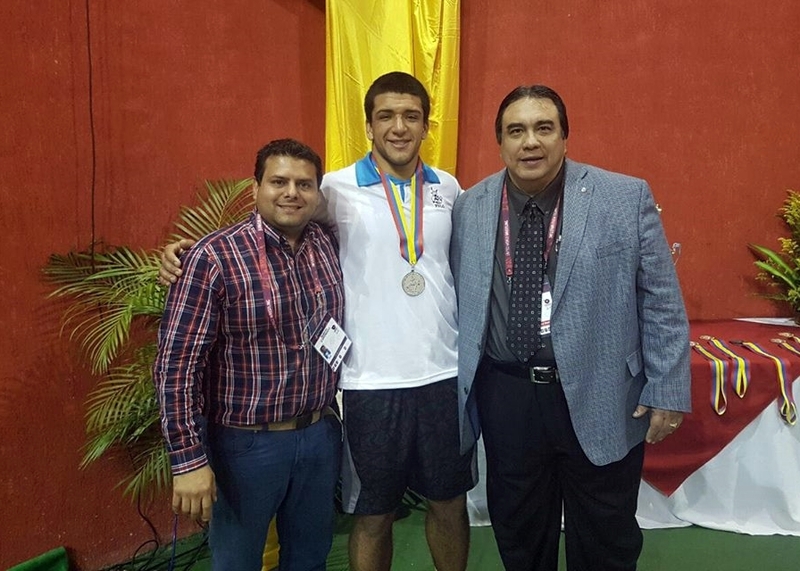 Meanwhile, in South America, Rodrigo Diaz, Lafayette's 2014 LHSAA Division I third-place finisher, 2015 Division I runner-up and 2016 Division I "What the heck just happened and shake-it-off and get" third-place winner, was competing in the Junior Pan-American Championships in Barinas, Venezuela (about 350 miles west-southwest of Caracas, if that helps). 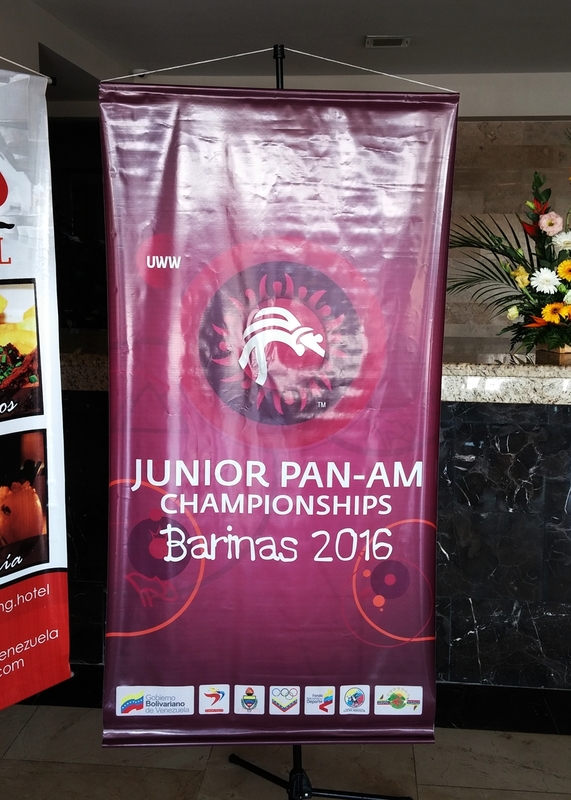 The event was held from June 9th-12 at the Ciudad Deportiva Gymnasium Gran Mariscal Sucre in Barinas. 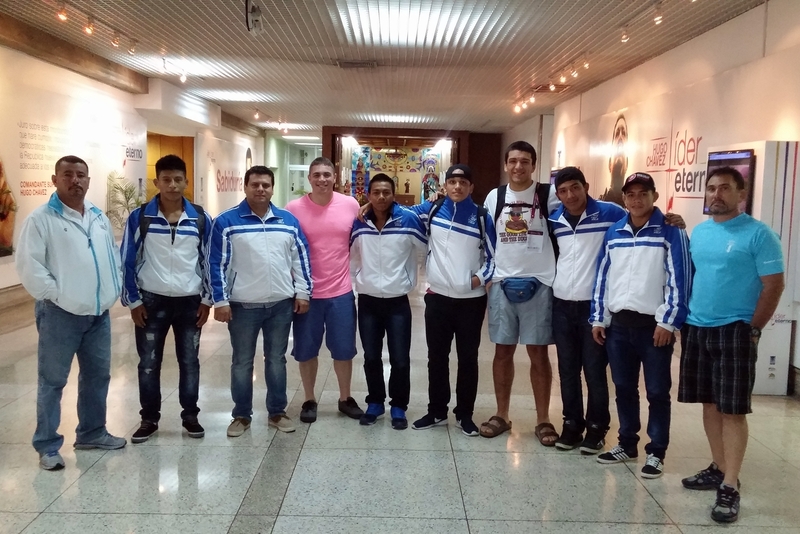 Lafayette coach Adam Porche accompanied Diaz on the trip, which was made possible by the aegis of the Guatemalan government. 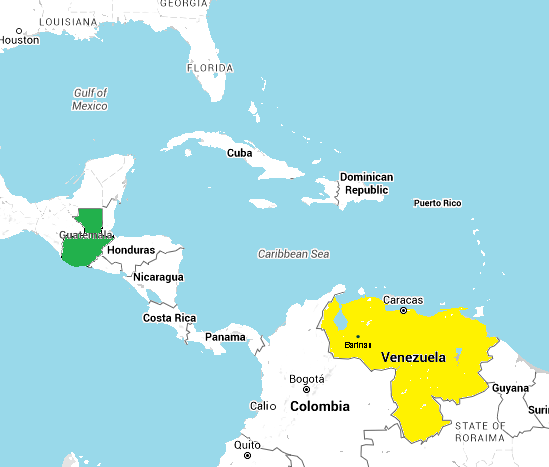 Diaz has dual citizenship in the United States and Guatemala, and had already impressed Mr. Francisco Lee, the FILA Counsel for the Americas who also happens to be from Guatemala. 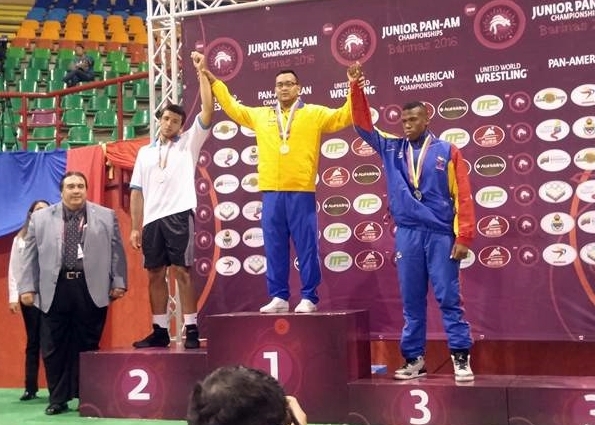 A Junior Pan-American Games banner, Coach Porche and Diaz (with medals) and, as basic geography knowledge has taken a beating over the past two decades, a map denoting the locations of Guatemala and Venezuela. 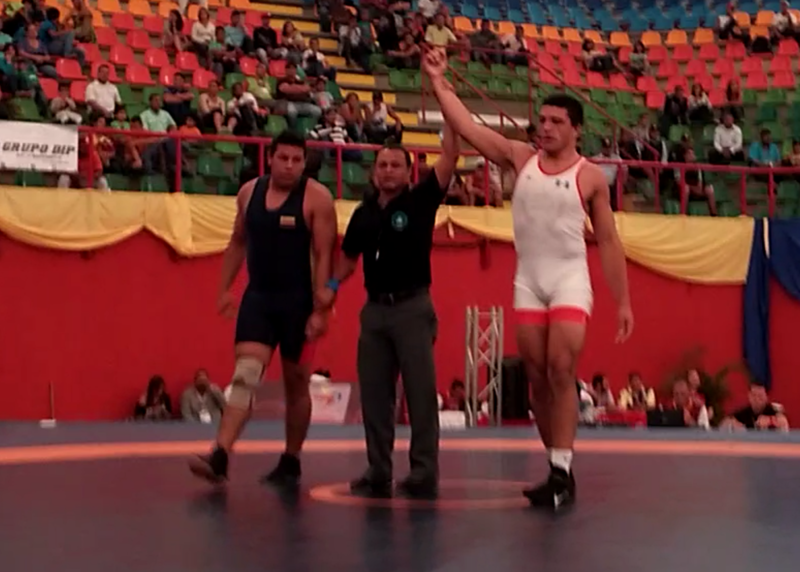 Diaz placed second in both the freestyle and Greco-Roman divisions. 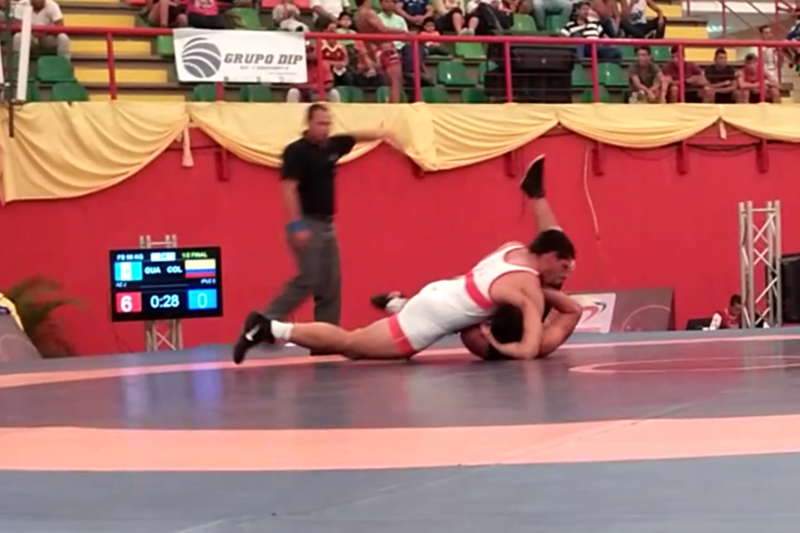 While there were not a lot of entrants in his particular weight class (there were over 200 competitors from 15 countries overall), there was quality, as the freestyle champion, N. Randhawa of Canada, place third in the 2015 UWW World Championships last year. 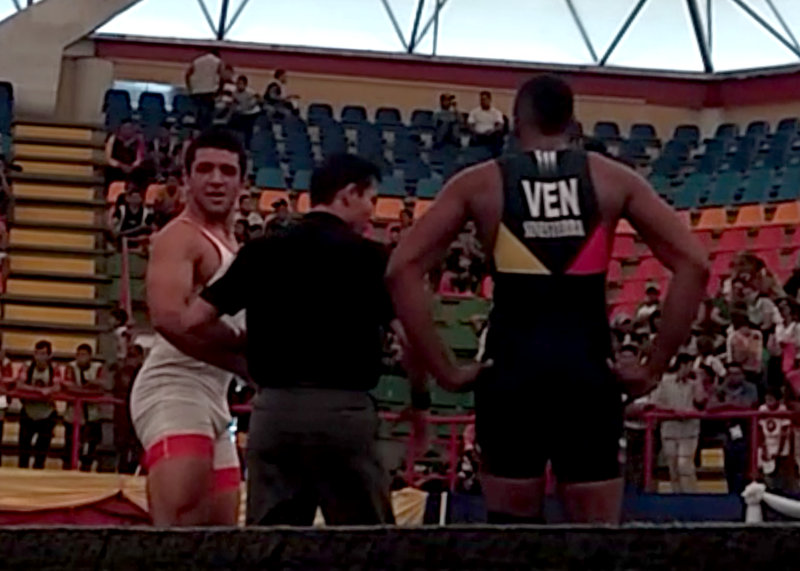 Of the six wrestlers representing Guatemala, Diaz was the only one to place. 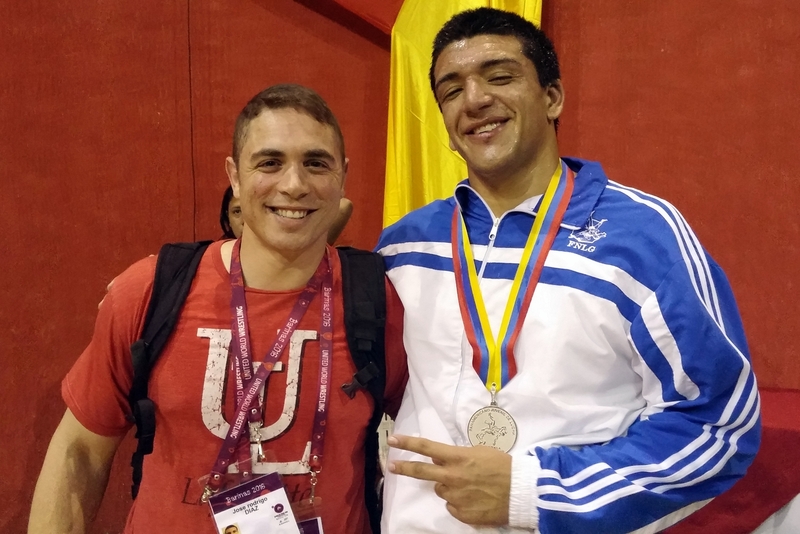 His performance earned him a trip to the 2016 UWW World Championships this September in Macon, France (which is a distance from Lafayette that Google Maps could not calculate). Diaz was featured on the Guatemala.com Website on June 13th.